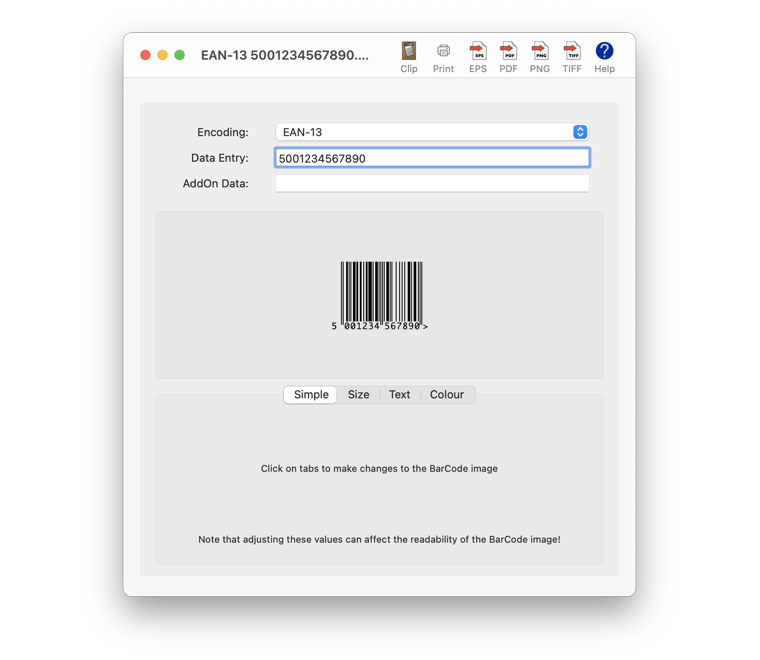 Scorpion BarCode 3.00 Released – Mojave Dark Mode Capable! Chislehurst Kent, United Kingdom – Scorpion Research today announced the release of version 3.00 of Scorpion BarCode, its popular BarCode creation software for Apple macOS computers. Scorpion BarCode is a complete Barcode creation utility that users can use to quickly create Barcode images for use in other applications. By entering the text of a Barcode, the software produces the graphic equivalent using one of the above selected symbologies. 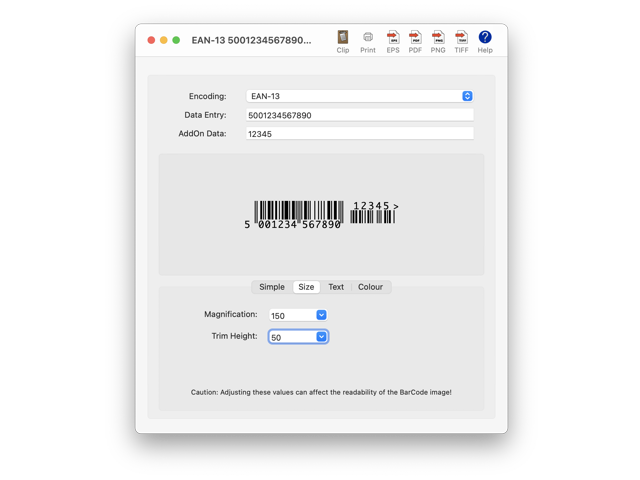 Sample AppleScripts are available to enable you to automate anyone’s BarCode creation workflow including integrating Barcodes into popular database, spreadsheet and word processor software. A command line version is also available, enabling powerful custom scripting solutions beyond AppleScript or Automator. Integrate into solutions directly using Unix technologies such as shell scripts or via web CGI scripts. The Scorpion BarCode software embraces the latest Apple technology to simplify the user experience. The entire User Guide is built into the onscreen help and separately viewable. The Scorpion BarCode software operates on any Mac compatible system running MacOS X 10.8 Mountain Lion or later. Optimized for macOS 10.14 Mojave. Scorpion BarCode 3.00 is available now with a Free 30 day trial. A single user license GBP 25.00 (Approx $30.00 USD). Scorpion BarCode may be downloaded from the Scorpion Research web site, following the links to Software Products, Scorpion BarCode and then Download. Scorpion Research was founded in 1994 focusing its activities on implementing modern management techniques using its innovative software products. Scorpion Research is an ISO 9001 and ISO 14001 compliant company demonstrating its commitment to a consistent level of quality and environmental responsibility. Scorpion Research complements these activities by providing consultancy and support services that assist in implementing rapid, efficient and cost effective solutions. Copyright (C) 1994-2018 Scorpion Research Ltd. All Rights Reserved Worldwide. Apple, the Apple logo and Macintosh are registered trademarks of Apple Inc. in the U.S. and/or other countries.